Swami Vivekananda was an Indian Hindu monk. Swami Vivekananda bringed Hinduism to the status of a major world religion in the late 19th century. Swami Vivekananda was the chief disciple of the 19th century saint Ramakrishna and the founder of the Ramakrishna Math and the Ramakrishna Mission. Swami Vivekananda introduced Hinduism at the Parliament of the World's Religions in Chicago in 1893 September 11. Swami Vivekananda 150th birthday is celebrating by Ramakrishna Math because they wanted to know the divine speech of Swami Vivekananda all over the world. 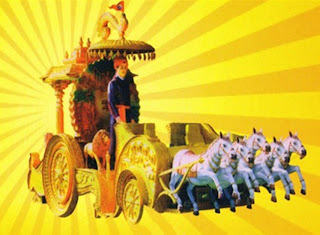 This Swami Vivekananda Ratha Yatra is starting from 11 September 2012 to 12 Janavary 2014. As it shows the Swami Vivekananda life style, hobbies, literatures. 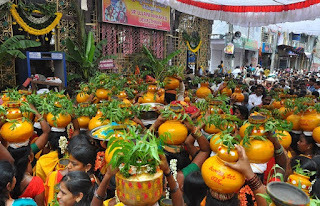 Swami Vivekananda Ratha Yatra performing by Vijayavada (Ramakrishna Mission), Rajamandry (Ramakrishna Math), Kadapa (Ramakrishna Mission).